WHO/WHAT: True the Vote, a citizen-led initiative to promote fair and free elections, will host its third annual two-day summit on Friday, April 12, and Saturday, April 13, 2013 in Houston, TX. This year's summit, themed "The Power of Citizen Engagement," will focus on the upcoming challenges facing Americans as we near the 2013-14 election cycle and review the enormous lessons learned in 2012. The summit will bring together citizens from more than 20 states and nationally known experts and bipartisan speakers, and feature video presentations by Texas Governor Rick Perry; U.S. Senator John Cornyn (TX); U.S. Senator Ted Cruz (TX); South Carolina Attorney General Alan Wilson; President of The Heritage Foundation and former U.S. Senator, Jim DeMint; Alfonzo Rachel, host of ZoNation on Pajamas Media TV; and others. Panels will discuss the 2012 elections, national issues and trends, the latest research, legislative updates, and training methods to help interested citizen leaders strengthen the election process. WHEN: 5 p.m. Friday, April 12, 2013 - 4 p.m. Saturday, April 13, 2013. Registration and kick-off party begins at 5 p.m. Friday, with dinner and speakers to follow. Registration and breakfast at 8 a.m. Saturday, with line-up of speakers beginning at 9 a.m.(Lunch served). 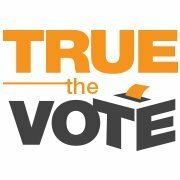 Program concludes at 4 p.m. (For registration and schedule information, visit: http://www.truethevotesummit.com. WHERE: Sheraton Houston Brookhollow Hotel, 3000 North Loop West, Houston, TX 77092. Tel: (713) 688-0100. MEDIA REGISTRATION: Advance registration is required for members of the media. Please contact media@truethevote.org. (Will require official media credentials and photo ID.) NOTE: Media interview space available on-site. Voto Honesto (TTV) es una organización sin fines de lucro, no partidaria, enfocada en preservar la integridad en las elecciones y operada por ciudadanos para ciudadanos, ara inspirar y equipar a voluntarios para envolverse en cada una de las etapas del proceso electoral. TTT capacita a organizaciones e individuos a través de la nación para activamente proteger los derechos de los votantes legítimos, sin importar a que partido político perteneces. Para más información, por favor visite www.truethevote.org.